South Coast Air Quality Management District (SCAQMD) was formed in 1976 and is the air pollution control agency for all of Orange County and the urban portions of Los Angeles, Riverside and San Bernardino counties. This area of 10,743 square miles is home to over 16.8 million people – almost half the population of the whole state of California. Since commonly used cleaning chemicals have been identified as a source of volatile organic compound (VOC) compounds which contribute to the formation of smog in Southern California, the Clean Air Choices – Cleaners (CACC) voluntary certification program was developed in order to promote the use of ultra-low polluting cleaning products in the market. To become certified, a product must meet a stringent list of qualifications, including a VOC limit of 10 grams per liter or less, and verification that no prohibited ingredients (such as Toxic Air Contaminants, Hazardous Air Pollutants, Ozone Depleting Compounds, Global Warming Compounds, Heavy Metals and Carcinogens) are present. Several CACC-certified cleaning products are also certified by other third-party certification standards such as UL/ECOLOGO or Green Seal, and CACC certification serves as extra validation that the certified product has no or low VOC content. A professional in the cleaning industry can choose to utilize CACC standards to specify and source third-party recognized products which have a more environmentally preferable profile. Recognized green cleaning products in the categories of general purpose cleaners, floor care products, carpet care, specialty cleaners, and especially disinfectant cleaners (since ultra-low VOC content CACC-certified disinfectants meet or surpass the minimum standards of the CA Code of Regulations for maximum allowable VOC content) can help a facility reach its overall sustainability goals, and depending on the product category can potentially contribute to LEED O+M certification for the building or CIMS-GB certification for the cleaning service provider. For more information on CACC, please visit www.aqmd.gov/home/programs/business/business-detail?title=cacc&parent=certified-products. WAXIE has several Clean Air Choices Certified cleaning products from which to choose, including disinfectants, all-purpose cleaners, glass cleaners, neutral floor cleaners, restroom cleaners, carpet cleaners, furniture polish and bioactive cleaners. 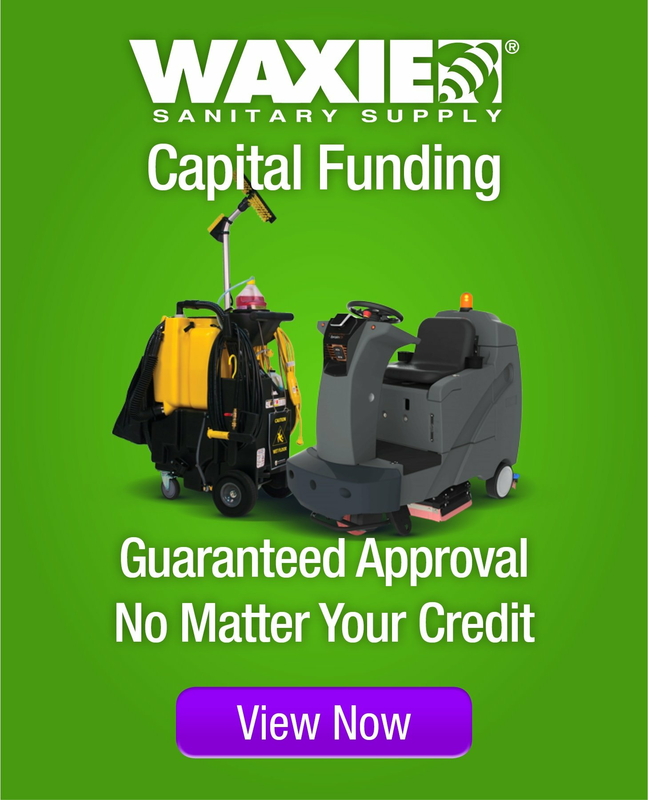 Your WAXIE Sanitary Maintenance Consultant can work with you to design and implement a customized green cleaning program which includes CACC-certified cleaning products, including low/no VOC content disinfectants and specialty cleaning products.